I’m up to Wednesday…it must still be Tuesday somewhere? This week I’ve been introduced to the world of patterns..breaking down the shapes and patterns in natures beauty..and its an amazing world, a world we see without really looking…looking at those man made objects which surround us,walls, rusty gates and fences we just don’t see the intricate patterns within. From natural beauty of flowers, to squares and grids of a footpath we may walk everyday. … but amazingly I am surrounded by wonderful shapes and patterns. 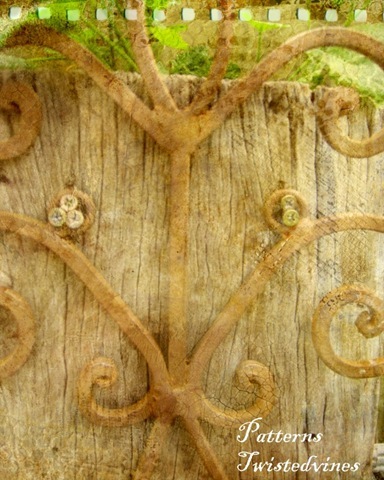 I love the texture of the wood behind this garden ornament. This new journey of design is amazing, and I somehow feel a certain tranquility and creative spirit that that’s what I should be doing. The Art and Business of Surface Pattern Design, featuring Rachael Taylor and Beth Nicholls is inspiring me to find my own style and capture the freedom to create in any direction. After an exciting first week of finding inspiration, this week we look at sketching and using different mediums. Photography has been a part of my life for a while but never so much as now…thanks to Kim Klassen, who inspires me in her work and life changing stories, this week we’re introduced to some wonderful creative work by Christie, and words within her creative jewelry pieces of ‘Soar’ ‘Be Still’ and ‘Inspire’. You can check out both Kim and Christie’s work here. Words of inspiration! I love your shot and how wonderful they look with the addition of the texture. I like how at the end of the pot you have a quote. Very nice! Thanks for visiting LeAnn..it’s amazing how we can find so many patterns surrounding us at every angle..
“Never mistake knowledge for wisdom … ” A wonderful quote to end a beautiful post. I loved this quote and have been wanting to share it for a while…glad you liked it! 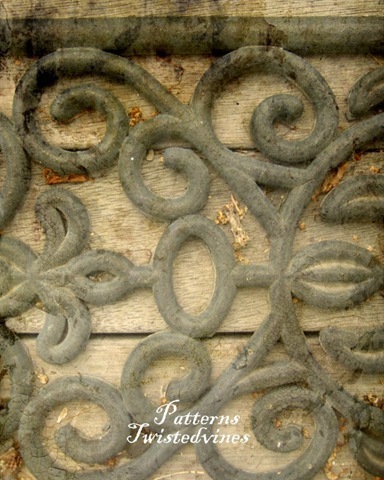 it´s great to go through life with an open eye for patterns… wonderful samples! Simple patterns..either man made or by nature can be so beautiful. Such beautiful photos – sometimes you have to take time to stop and look at things properly. And I love that quote…so true, if only more of us realised it!